I am looking forward to fall for several reasons, but one of them is that I just feel more in the mood to cook in the fall. Hearty soups, stews and one pot meals just make life a bit easier. My kids actually say Yay! when I tell them that we’re having Chicken Chili for dinner. I first had this at my friend Jen’s house several years ago. Since then, I’ve revamped it, spiced it up and tailored it for our family. I love this dish because it’s delicious in addition to being low-fat, high-protein and very economical. But best of all? 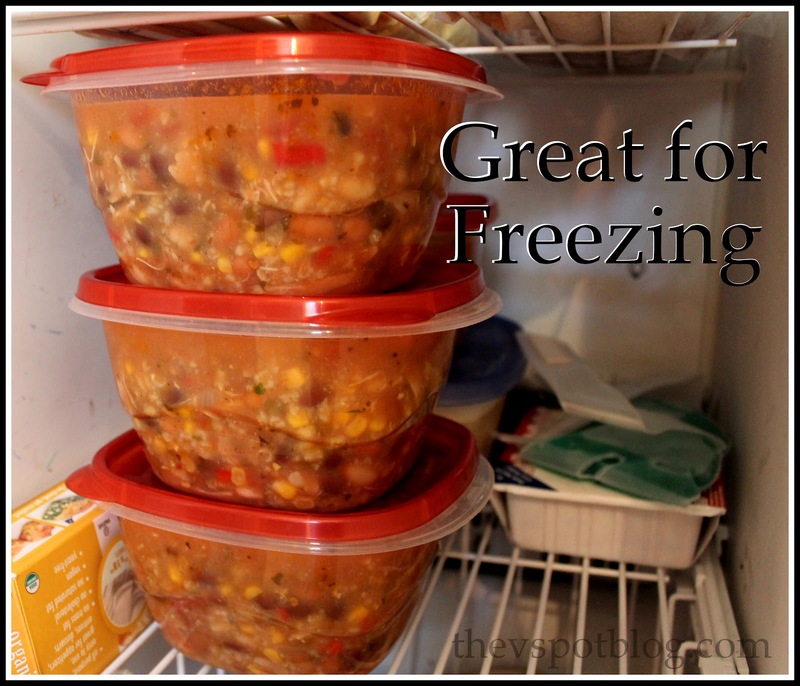 I can make it ahead of time and it’s the perfect freezer meal on those busy days when I didn’t plan for dinner. Drain and rinse the beans and corn. Go ahead and do it all at once. It’s faster and easier that way. Pull the chicken off the bones, shred and put back into the pot. Let simmer another hour or so. I use a diffuser under the pot to help evenly distribute the heat, and I actually let it sit overnight… we think it’s better the next day because the flavors are really able to marry. 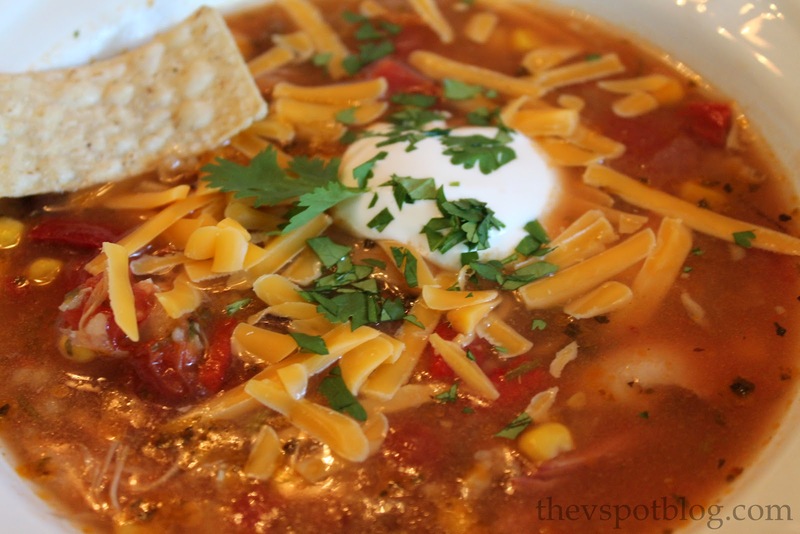 The smokiness of the chipotles, the broth, the beans, it all works together for a yummy, hearty meal. Yummy, healthy, hearty and comes in at about a dollar a serving. Not bad, huh? 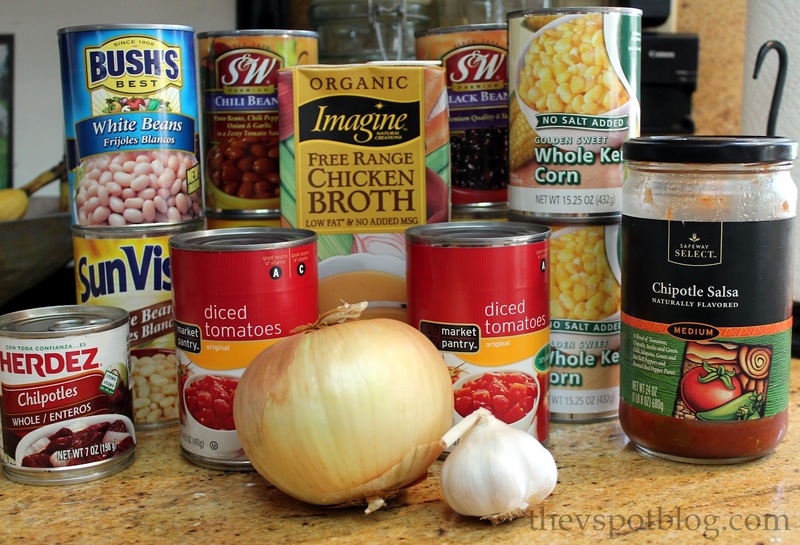 I hope you like this easy, affordable recipe! Between April 25 – May 25, 2014 a donation of just $40 will help the Beckstrand Cancer Association feed a family coping with cancer for an entire week! Click HERE to make your donation. And now Im hungry…. This looks delicious! Im a fan of fall cooking too because its squash season! Yum! We would gobble that up too. 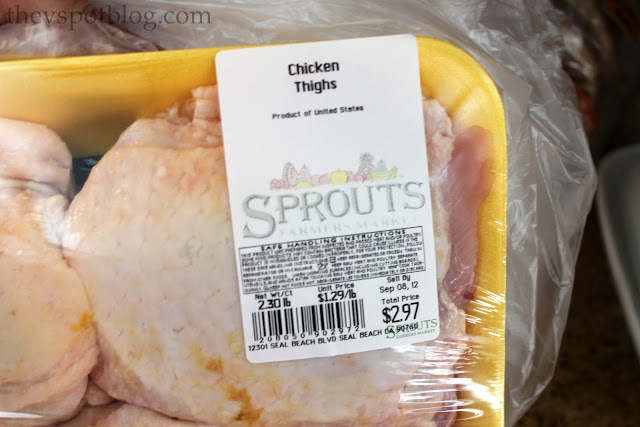 Have you ever tried making it with ground turkey? I have to remember to add corn to my next batch. Corn and chili spices just go hand in hand. 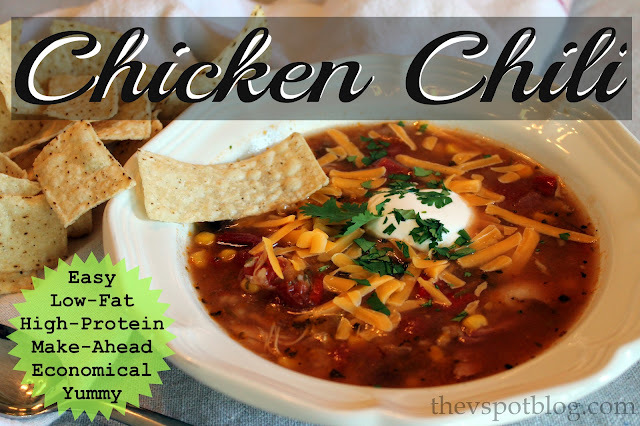 I made some white chicken chili a few months ago…I read the recipe wrong and it was so stinkin’ hot I couldn’t even eat it. yay,, another soup recipe to add to my list to try this fall/winter.. We love soup/stews/chili when it starts turning cooler. Cant wait to try this,, sounds and looks delicious!